excelente Hostel, tanto por todo el personal como por los servicios que brindan. La relación precio calidad es una de las mejores que ví. Volveré! Awsome hostel, I would definitely stay there again. 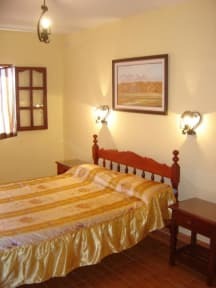 The shared rooms are clean and spacious, the atmosphere was relaxed and you feel as if you were at home. There is a big living room where you can relax and talk to other travellers or the staff. The staff is very helpful, kind and welcoming. I absoultely recommend triste hostel! Excelente hostel! El personal muy buena onda y con una gran predisposición! El lugar hermoso. La verdad me gustó mucho el hostel, lo único que le faltó es tener enchufes para cada cama y que el wifi por momentos nos funciona bien. En cuanto al personal... muy atento y predispuesto, en especial la chica. Buen lugar, gran ubicación. Mucha gente extranjera, estuvo bueno para hacer sociales. El desayuno estaba bien pero podria ser mejor. Cuarto comodo, la cama estaba buena. 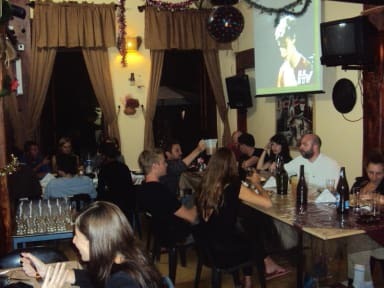 The staff is great, the hostel has big and beautiful common spaces , breakfast is a bit short. Amplio y con buen ambiente. Volveria. Nice place. The room was nice although the bathroom was a precariously divided former shared bathroom. There were no services, no lockers and no atmosphere to speak of. The hostel was a 15 minute walk to town though which wasn’t too bad. It did the trick but I’d look elsewhere, if there are other options.